Discovery Center offers a myriad of special events, programs, classes and more. All special events are included with admission to Discovery Center Museum unless otherwise noted. General admission: $8 adults; $8 children ages 2-17; free to Discovery Center Members and children age 1 and younger. Classes have separate charges. To find out what is happening on any given day, please refer to the listings below or click on our Calendar. Chime in on your favorite fun train tunes, learn classic folk songs, and even practice the locomotion! Free or discounted admission if your share a name with Thomas or one of his friends. Sing-along times: 10:45 am, 11:45 am, and 12:45 pm. Included with Thomas & Friends™ admission: $1 Members; $11 Public. 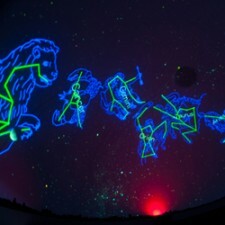 Investigate the sun, moon, and planets, and get inspired to learn more during a free planetarium show. Monkey around with gravity, put the solar system in your pocket, navigate the constellations, and more! Included with Museum admission. Thomas and his friends are heading toward the roundhouse, but there’s still one more day to play and learn! 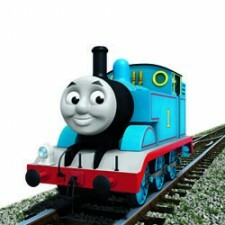 Make a special Thomas train to take with you, and explore the Island of Sodor one more time! Free or discounted admission if your share a name with Thomas or one of his friends. Included with Thomas & Friends™ admission: $1 Members; $11 Public. 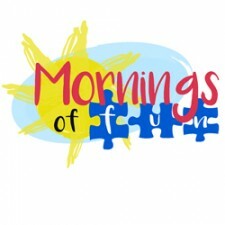 Mornings of Fun - Spiderman makes a special visit. We invite children with disabilities and their immediate families to experience Discovery Center’s multi-sensory exhibits and activities free of charge, before the museum opens to the general public. Spiderman makes a special visit. A healthy snack will be served at 10:00 am and families are welcome to stay and play after the museum opens to the public that day. Advanced registration is required. To receive free admission call 815-972-2839 or RSVP online by clicking the event name above. We invite children with disabilities and their immediate families to experience Discovery Center’s multi-sensory exhibits and activities free of charge, before the museum opens to the general public. Come in costume for a special hour of Halloween fun. A healthy snack will be served at 10:00 am and families are welcome to stay and play after the museum opens to the public that day. Advanced registration is required. To receive free admission call 815-972-2839 or RSVP online by clicking the event title above. We invite children with disabilities and their immediate families to experience Discovery Center’s multi-sensory exhibits and activities free of charge, before the museum opens to the general public. Gear up for some Grinchy Green Science. A healthy snack will be served at 10:00 am and families are welcome to stay and play after the museum opens to the public that day. Advanced registration is required. To receive free admission call 815-972-2839 or RSVP online by clicking the event title above.